TIF – HELEXPO S.A. , with more than 90 years of experience in organizing and supporting fairs, exhibitions, conferences and various other events, is the leader of the Hellenic Market of Exhibition and Conference Industry, located in Thessaloniki – the second biggest city of Greece. HELEXPO International Congress Centers are situated in the heart of the city and the academic community and comprise unique convention venues combining comfort flexibility and adaptability. They are easily accessed from every part of the city, situated: 15 klm from Macedonia Airport, 3 klm from the Railroad Station, 2 klm from the port, with parking facilities. HELEXPO International Congress comprise an integrated solution for congresses , professional, social, political and cultural events. The size, functionality, safety, easy access, parking capabilities, the impeccable and experiences service, and their position downtown the City, make the HELEXPO Congress Centers as the ideal venues for your Conference. 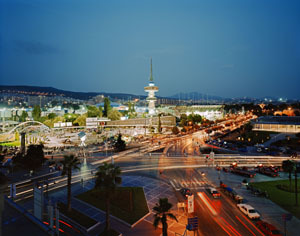 This ultra-modern Centre, situated in the heart of Thessaloniki and within Helexpo's exhibition grounds, can accommodate up to 2,600 delegates. 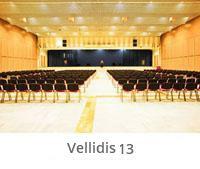 It consists of 6 halls; their capacity ranges from 110 to 2100 people. It is designed to host large events of any kind (congresses, receptions, seminars, etc.) and has all facilities one may expect of a Centre of its size. 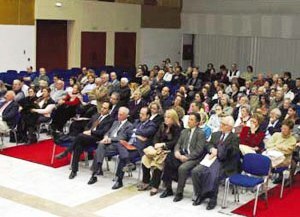 Congress Center ''Nikolaos Germanos” is a classic congress center for your conference or congress, comprising 4 halls, a V.I.P. room, a press room and foyer. It is built on the second floor of exhibition hall ''8”. On the first floor you will find a restaurant, space for receptions and exhibition space. Two comfortable spaces for your special guests and press. Ability to simultaneously host both an exhibition and a conference. It consists of 6 conference rooms with a capacity of 50 – 2.600 persons and a Roof Garden with a hosting capacity of up to 600 persons, depending on the type of event. Easy access: 15km from Macedonia Airport, 3 km from the Railroad Station, 2km from the Port. 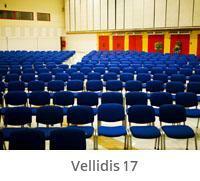 Multiple set-up conference and exhibition areas that also operate as stand alone. Located in the city centre, near archaeological sites, museums, historical monuments, hotels and stores. 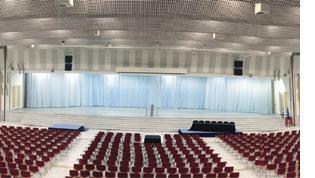 It has the capacity to host from 40 to 640 persons. 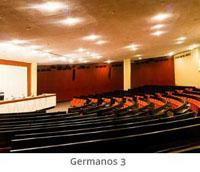 Simultaneous interpretation facilities up to 5 languages in Hall A and 1 language in Hall B and Hall C.